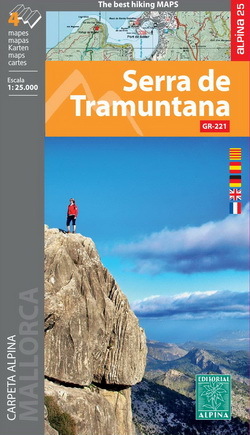 These pages are not substitute for the use of guidebooks and maps for the hikes. * The starting point of the GR 221 in Port d'Andratx and the two first stages have some problems and the opening of the mountain hut in la Trapa isn't planned. 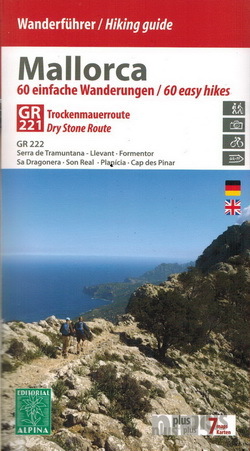 It will be some years until the "main route" of the GR 221 is opened. * On the other side, work should start on summer 2018 to turn Cases de Galatzó into a mountain hut. 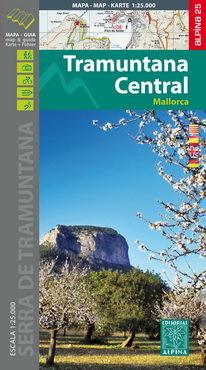 The route from Es Capdellà to Estellencs is signposted (alt. section of the GR 221) and could become the main route of the GR 221 in the next years. Only signposted at the beginning. Closed path between Coll de sa Basseta and Coll de Sant Jordi, but walkers go through.. The restoration of La Trapa as a mountain hostel has been planned. Port d’Andratx- Sant Elm (2h 30min): On the right side of the Port d’Andratx, 100 meters before the Club de Vela, take the carrer Aldea Blanca. 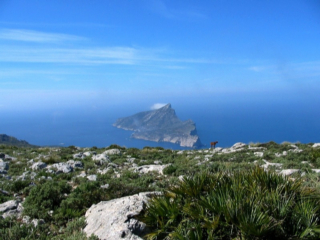 Go 200 meters, turn to the left on Carrer de Cala d’Egos which turns into an earth track and reach the pass (30’) and the telecommunication tower (30'). After a couple of minutes, take a footpath which climbs to a pass (dir N, 2’), go down for 10 min (picture 1) and reach an earth track. In front of the water tank (the alternative section A- ‘S'Arracó’ starts to the right) turn to the left and keep on the main track for 15 minutes. After a steep descent (pictures 2,3) take the track to the right to Sant Elm (30'). 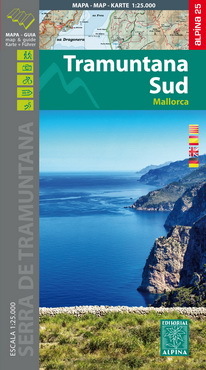 Sant Elm- La Trapa (1h 15min): From the beach go to the Plaça de Mossen Sebastià Grau (Bar Es Molí). Take the road Avinguda de la Trapa which turns into an earth track (Camí de Can Tomeví) and after 10', reach the house of Can Tomeví. With the house to your right, keep straight ahead walking on a footpath, cross a track (5') and climb steeply across the forest to a pass (40'). Go down to La Trapa (5', pictures 4, 5, 6, 7). Along the way, you'll find the private mountain hut of Ses Fontanelles and the mountain hut of Coma d'en Vidal which is just open for groups (2018) and could be opened soon for hikers. Refugi de sa Coma d’en Vidal- Estellencs (1h 15min): Follow the flat earth track which quickly zigzags down (picture 7) to a water tank (30') and a junction. Turn left and before reaching the road (10', after a paved bend), go to the right and take a narrow track. Cross the road (5'), go through the forest, look for a track (5') and turn right. After 10min, walk on the road again which you follow till the km. 95,6 where you turn left to Estellencs (20’).